Do Domain Age and Past Rankings Really Matter in Search? If you own a website that has been performing well in SERPs for the past 10 years, seeing a newer domain knock down your rankings can be a bit alarming. 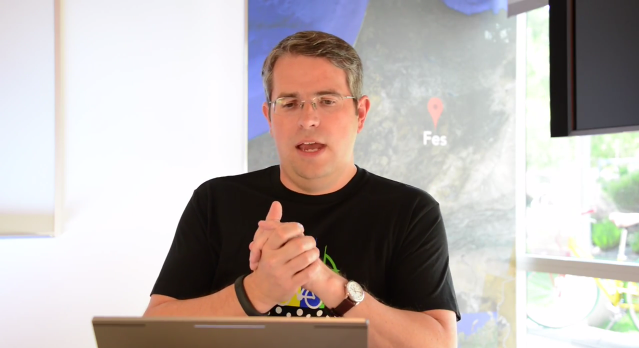 You might start thinking it’s because the newer domain somehow cheated the algorithms and spammed their way to the top, but Matt Cutts offers a different answer in the latest Google Webmaster Help video. Cutts mentions that older sites sometimes have not updated in years, and end up looking “stale”. This is something we see far too often because some website owners don’t want to change their website, thinking they might end up moving down the search rankings in the process. This complacency and “coasting” is something you want to avoid, especially when SEO practices and your audience are constantly evolving. Domain age doesn’t carry much weight in a time where websites have become so easy to set-up, optimize, and launch. So, what can you do to help keep your website on top of the rankings? The answer is simple: Keep evolving with the times. No matter how well established your website is, or how consistent its rankings have been in the past, it’s easy for newer, faster, and better websites to overtake it in search. Keeping up with the current best SEO practices, creating high quality content, and consistently providing a great user experience for your website’s visitors are the keys to dominating the SERPs. Sign-up as our partner today to see what we can do to help your clients keep ranking consistently for years to come.